Selecting a DSLR or lens for a particular type of photography is never easy, speaking from personal experience. Photography is an expensive hobby, which is the reason we want to get the best out of every dollar spent. I am writing this post to help my readers know the various options available in the market for ultra wide-angle camera lenses. Tokina 11-16 mm F/2.8 ultra wide angle lens is still a part of my night photography or astrophotography gear. It is one of the best purchases I ever made when it comes to photography. An ultra-wide angle camera lens is a lens having a range less than 15 mm for a cropped (APS-C) sensor. For a 35 mm film or full frame camera, the value is 24 mm. In simple terms, an ultra wide angle lens covers an extremely wide area or offers a wider field of view. This makes even bigger mountains look smaller when an ultra wide angle lens is used. There are so many third-party manufacturers of lenses in addition to the existing major brands such as Canon, Nikon, Sony and Fuji. After this comes the battle of lens compatibility between full frame cropped sensor cameras. I have made a list of available ultra wide-angle DSLR lenses with description text explaining their compatibility with a cropped sensor and full-frame DSLR cameras. All full frame camera lenses can be used on the same mount type cropped sensor camera but the reverse is not true. Tokina 14-20 mm F2 -> APS-C/DX. Cropped sensor lens. Tokina 16-28 mm F/2.8 -> Full frame/FX. Full frame sensor lens. Tokina 11-16 mm F/2.8 -> APS-C/DX. Cropped sensor lens. Nikon version doesn't have auto-focus. Tokina 11-16 mm F2.8 II -> APS-C/DX. Nikon auto-focus version. Tokina 11-20 mm F2.8 -> APSC/DX. Cropped sensor lens. Tokina 12-24 mm F4 -> APSC/DX. Cropped sensor lens. Rokinon 14 mm F2.8. Full frame (FX) sensor prime lens. Rokinon 12 mm F2. APS-C/DX. Cropped sensor prime lens. Lastly, there are the original Nikon and Canon lenses. Nikon 14-24 F2.8 Full frame sensor lens. Canon 10-22 mm F3.5-4.5. Cropped sensor lens. Sigma 8-16 mm F4.5-5.6 APS-C/DX. Cropped sensor lens. Canon 16-35 F2.8 L. Full frame lens. I haven't tried all of the above lenses, but Tokina and Rokinon lens still stay with me. They haven't disappointed me yet. The pic in this blog post was taken with a Tokina 11-16 mm F/2.8 lens. It stays on my DSLR 60% of the time. What's your favourite go-to ultra wide angle lens? Share the photography love by sharing this post. Beautiful photography. And the article was so informative. I really enjoyed reading it. Thank you Mimi, glad you enjoyed it. Can we use the Canon EF-S 18-135mm f/3.5-5.6 IS to get the milky way photo!!! If so what is the aperture and focal length needed ? Yes, you can. F3.5, 18 mm, ISO between 800-1600 and shutter speed between 10-12 seconds. Hope this helps. 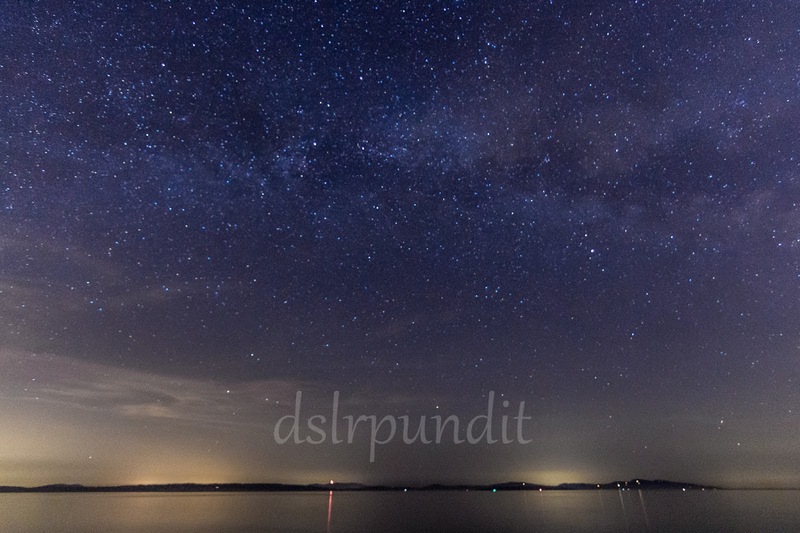 Most important thing to take a milky way photo is less light pollution, so get to a place with really dark skies. Did not knew we can do such thing. You do learn something new everyday. Nice to see someone just loves to use the snap,click and development cameras! Digital is a lazy way to shoot! wow, I've always been interested in photography as a hobby - cool new info is appreciated! Excellent shots my friend. I'm not much into this kind of photography yet. I guess I'll give it a try sometime. I love photography I have got into it recently and I love it. Thanks for the new info. Rokinon is a really sweet lens.